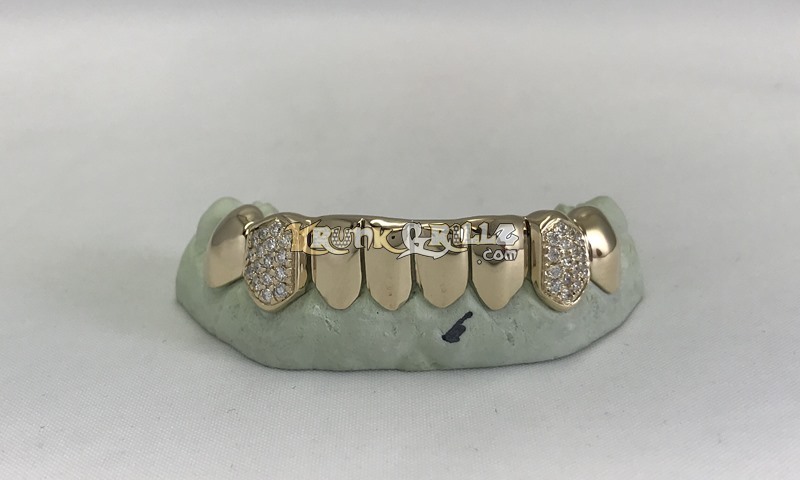 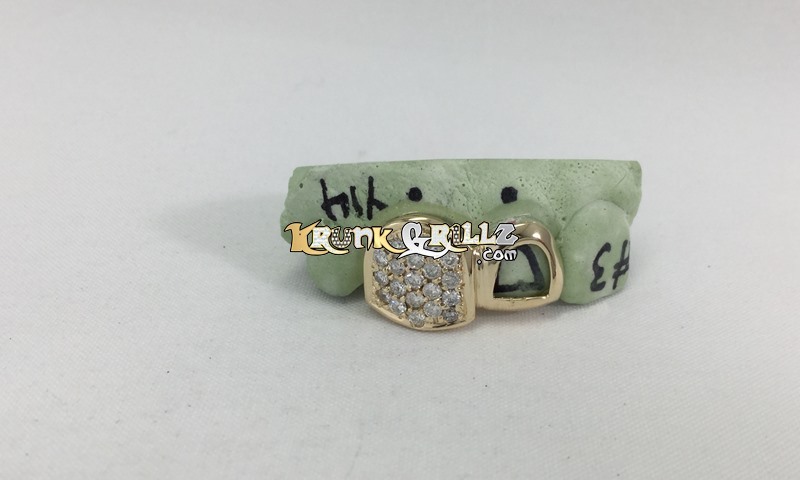 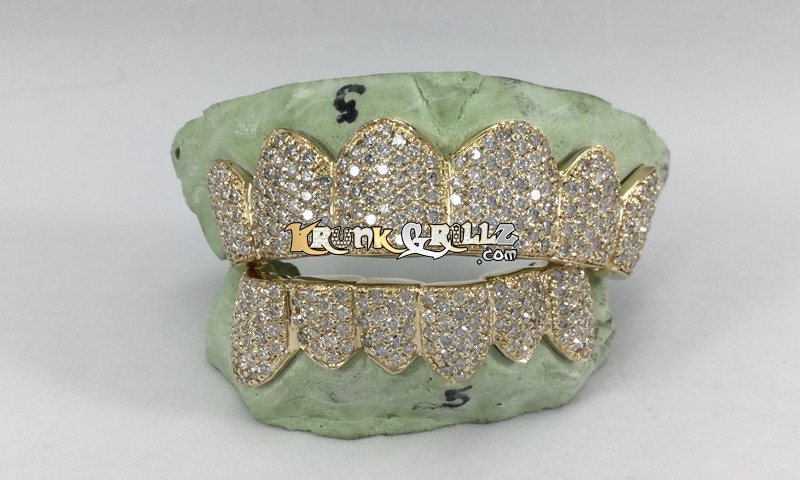 Custom-fit gold grillz with high-quality pavé set diamonds. 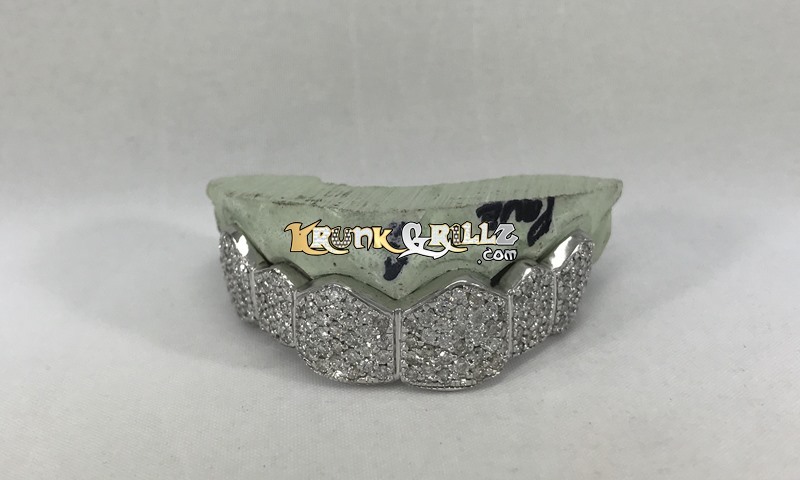 Pavé (pronounced “pa-vey”) is a setting that consists of a lot of small diamonds attached to the grillz by droplets of metal. 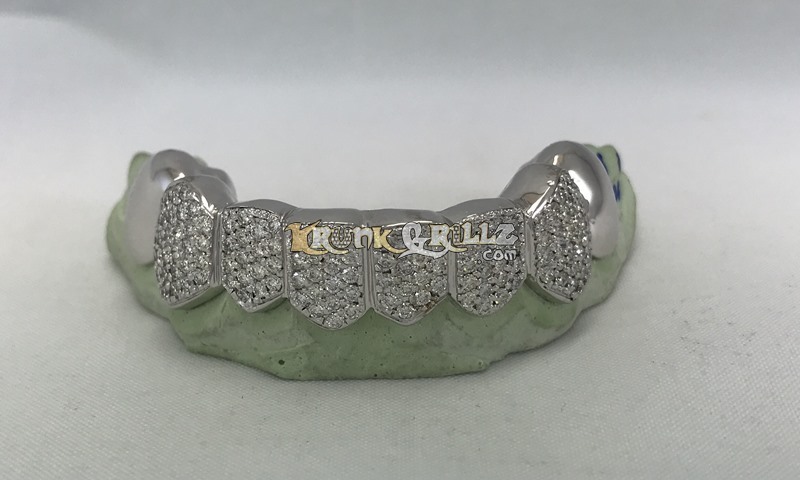 As a result, the surface of the grillz looks like it has been paved with diamonds. 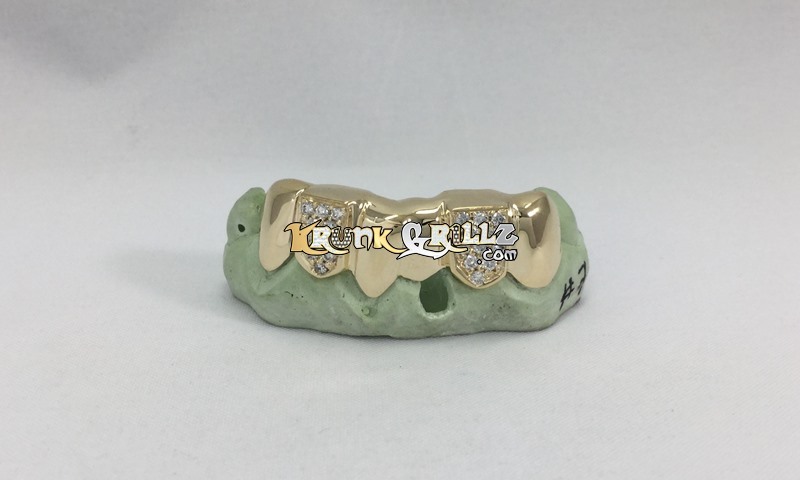 This is our very best grillz and will get you noticed everywhere.